Herbacin USA: To Cover Up or Not? The sun is out! Goodbye to heavy overcoats, hello to sundresses and bikinis. While sunny days and warm weather encourage us to bare more skin and get a bit more color, we still need to protect ourselves against harmful UV rays. 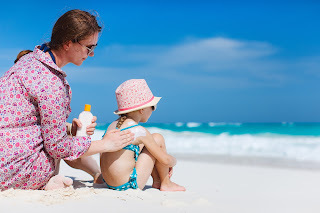 Ultraviolet radiation is what causes skin to burn when exposed to sunlight without proper protection and SPF. Why are UV rays bad? Apart from painful burning and blistering caused by overexposure to UV rays, your skin cells’ DNA can also be altered, possibly resulting in long-term skin damage that can lead to skin cancer. To avoid skin cell damage and risk of skin cancer, follow these suggestions to protect yourself while getting a light golden glow. Sounds like a given, but limit your exposure to direct sunlight. Go outside and get your Vitamin D, but don’t stay out too long. UV light can bounce off surfaces such as water, snow and glass, doubling the intensity of your exposure. Tanning lotion might give you that bronzed look, but it’s not going to protect you from being burned. 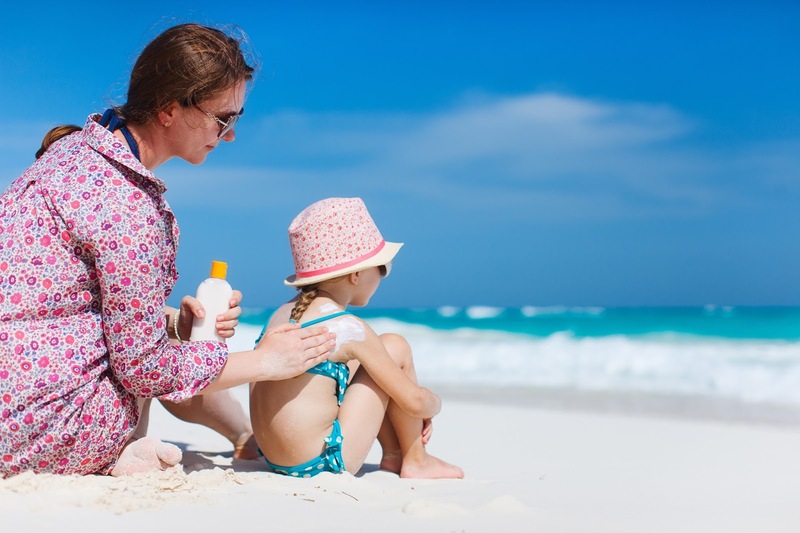 Always use a sunscreen with an SPF of at least 15, and higher for extended exposure. UV rays are most harmful between 10 am and 4 pm. Try to limit your exposure to those times of day when you can absorb sunshine without putting your skin at risk. This is may be the last thing you’d want to do when it’s hot., but putting on a regular cotton t-shirt provides an SPF of around 10.. Some SPF is better than none! Select wide-brimmed hats (at least 3” in diameter) to shade your face, neck and ears.